Have you ever wished to get skilled in a particular field? Or you have wondered how cool it would be to learn a skill? 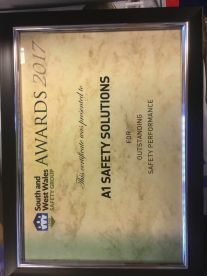 No need to wonder any longer, as A1 Safety Solutions is your number one training centre in Port Talbot. 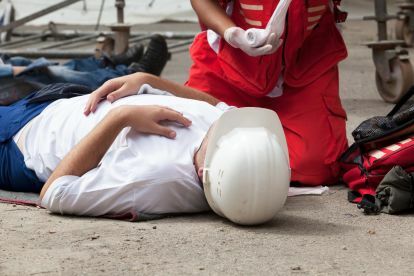 At A1 Safety Solutions we ensure our clients get the best training, using high standard equipment and also having access to a wide range of standard training materials. There is no need to wait, contact us today on 07837593344 to get started. We ensure each of our trainers are seasoned and well grounded in their field. We not only have professional trainers we also provide a very conducive learning environment because we understand that people learn faster in calm and comfortable spaces. Our training centre strives to give you the privacy you need and also provides access to one-on-one tutoring from a designated trainer. We know learning a skill can be difficult, or tedious – especially if it is a totally new skill to you. As such, we have made sure that our clients’ individual needs are well attended to. We take everyone’s goals and aims into account, even in a group class setting. Because of this, we can boast many satisfied customers many of whom have given us great reviews and they have also referred family and friends for training. We hope you'll be joining our ever-growing list of happy customers! 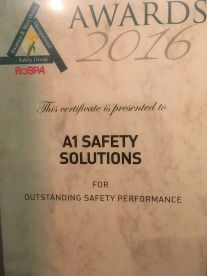 Please note that A1 Safety Solutions may not be able to honour booking requests made.